Spending time with grown kids is something most parents enjoy and look forward to. If your young adult children live nearby, you may spend time with them frequently – but chances are they are usually coming to your home instead of you going to theirs. 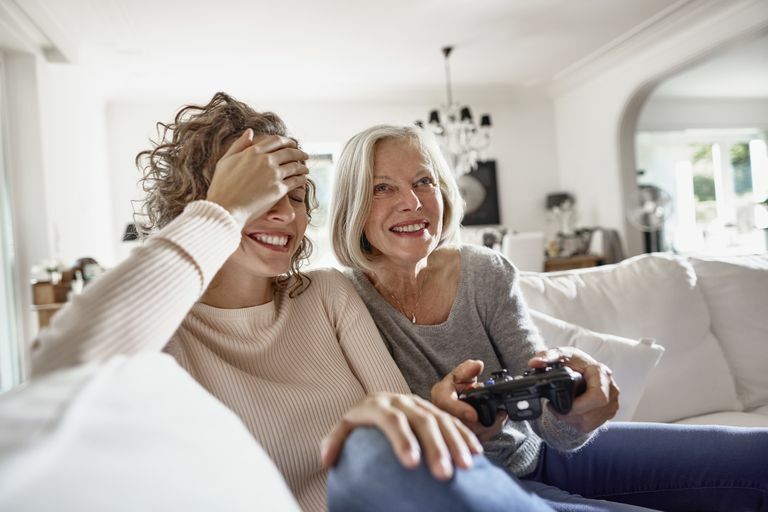 When young adults are in their twenties, they are more likely than not to live with a roommate, in a small apartment, or in an otherwise less-than-ideal place for hosting family and friends. It's probably more comfortable for gatherings to happen at your house, especially if it's where your kids grew up - it's always nice for them to be back home for a few hours or days. If your grown kids live far away, they might look forward to coming home to visit for a few days or more, and as parents you are likely thrilled to have them stay with you. While your kitchen may be better equipped and your furniture more comfortable, it's important that parents visit their grown kids to see their home and meet their roommates or partners. You don't have to stay for long, or even expect too much of your kids as far as entertaining you – just a brief visit before going out for dinner, for example, is a nice gesture. Your young adult's home is an important extension of who he or she is, and sharing it with family is a way to share their lives beyond texting and phone calls. For parents, it's enlightening – and sometimes a little shocking – to see how your young adults live day-to-day. First homes can be less than beautiful, with inexpensive furniture or few decorative items, but refrain from commenting or making suggestions about how to improve the aesthetics unless your advice is asked for. Find what is nice – a big window, a large bathtub, a funky built-in shelf – and compliment that. You may wonder how you managed to raise a person who chooses to live "this" way, whatever that may mean to you. If you are a great cook who rarely served anything but homemade meals, your child's penchant for takeout food – with leftovers you can't help but notice in the refrigerator – may bother you. If your grown kid seems to have misplaced his vacuum cleaner, that may be in direct contrast to your neat-as-a-pin lifestyle. His coffee table may be used as a footrest, while yours is covered in beautiful objects. Whatever it is that your young adult does differently from you, keep your opinions to yourself. You are his parent, but you are also a guest in his home. Your young adult may live with a significant other. If he is married, and especially if he has kids, it's a good bet that nearly anything you could say, even in the kindest or most helpful way, about something that seems amiss to you will be greeted with uncomfortable silence or worse. While you still see your young adults as your "kids," they are grown people with lives, habits, and preferences all their own. Accepting that they live a different kind of life will make it easier for everyone. When visiting your young adult with his new family - whether it's just two of them or more - following their lead on everything from topics of conversation to if the baby needs a sweater is a good idea. Entering someone else's space - whether for a few hours or a few days - is never simple, and when it's your grown child's space it can be even more complicated. Bringing gifts is not mandatory, but if chosen carefully can be very much appreciated. Don't bring what you would want for your home, bring what your young adult would want for his. If he's a fledgling chef, bring a few potted herbs. If he likes to read, a coffee table book is a nice idea. For young women, candles are often a good choice. Go ahead and indulge your grown child in his new home – that's your right as a parent!